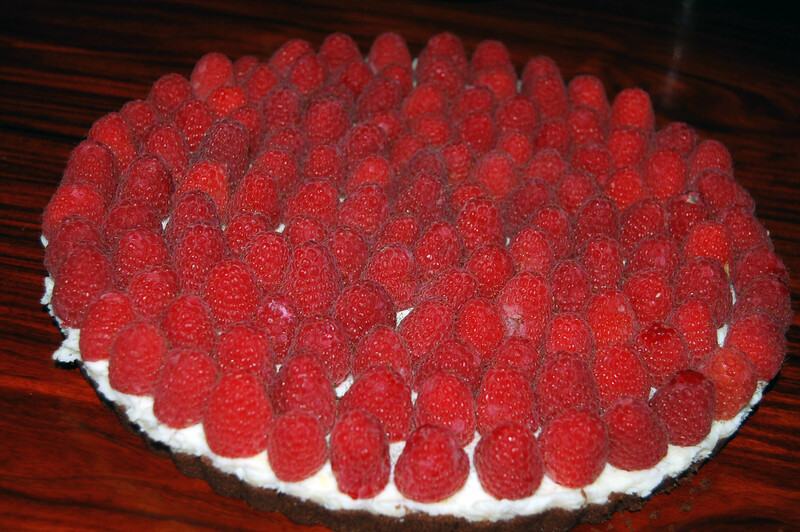 Cold Raspberry Tart With Mascarpone Cheese – Great Summer Birthday Cake! (serves 8-10) | Crappy Kitchen - Good Dinners! I promised to post this recipe, so here it is! 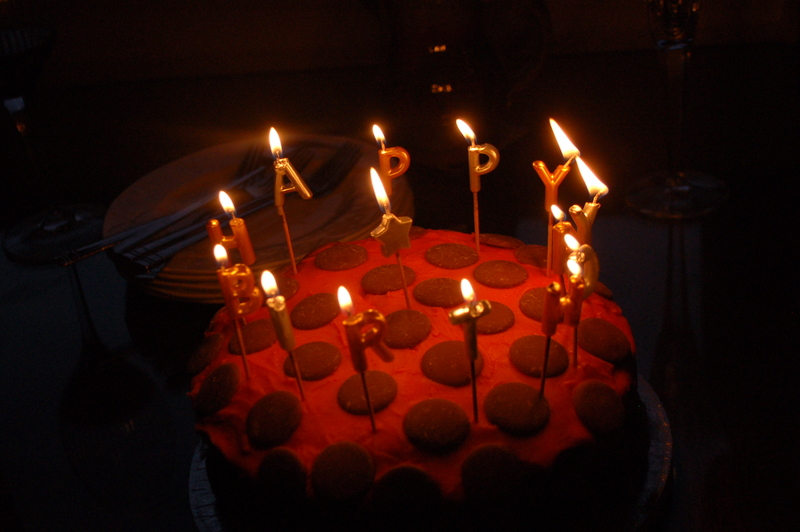 I had a busy and very fun birthday recently (Press HERE to read about it!) but I really wanted to have a cake when I got home from my grand adventure. I didn’t want one from a shop, even though there are so many great bakeries now that make wonderful cakes. There is something so special about one made at home, whether it is a layer cake that looks a little wobbly or one where the icing looks a little slap-dash and the sentiment precariously written in an uneven stream of piped colors. I favor these types of cakes for occasions like this over any picture perfect confection where the only trouble that was taken was to pick it up from the bake shop. My daughter’s request each year is for this chocolate cake. The frosting color is the only thing that changes! If you are flat broke, the best thing to give, or receive, is a home-made cake. Nothing says you care more than a couple of eggs, sugar and a few candles. 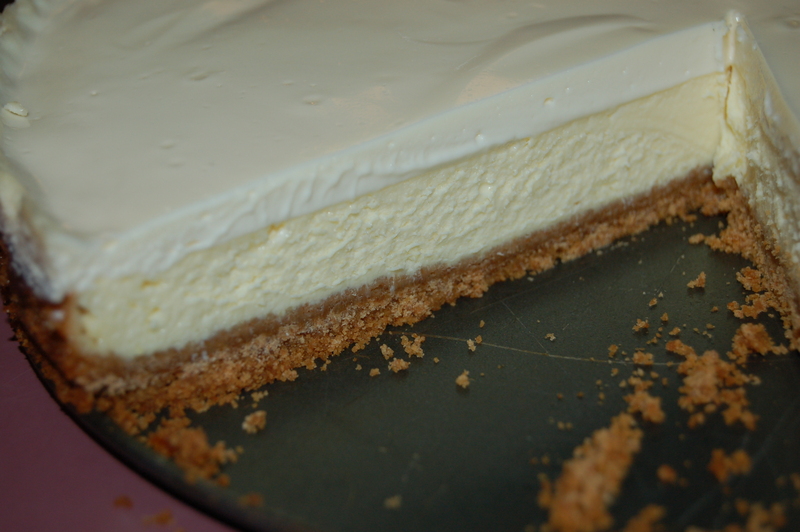 My son is also a creature of habit and his request is ALWAYS this cheesecake! For me, I’m not really as picky. 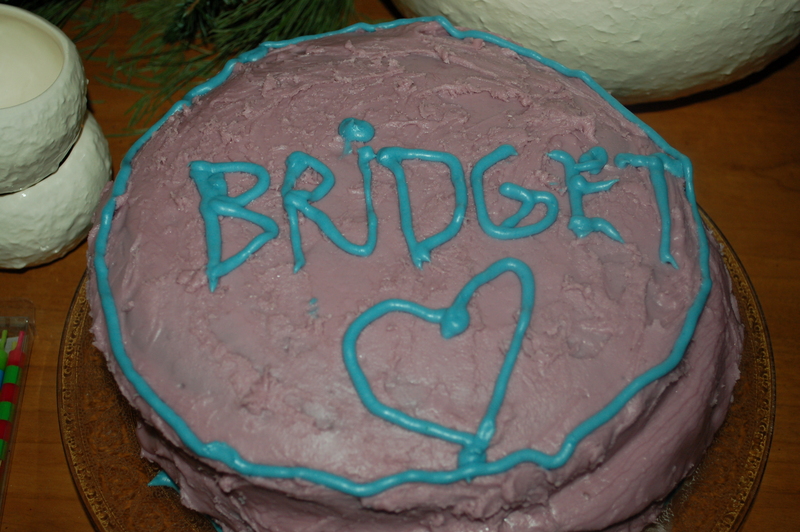 It depends on who makes the cake, and this year I happen to make my own (more out of necessity than desire). I was under pressure for time so it had to be quick and had to be able to keep perfectly in the fridge for 36 hours. This cold tart was perfect. There was no actual cooking required, and on a hot Summer evening, cold was the most perfect temperature. All it requires is good quality fruit and this little tart practically makes itself. 1 – Pulverize crackers in food processor until it has turned to a meal. 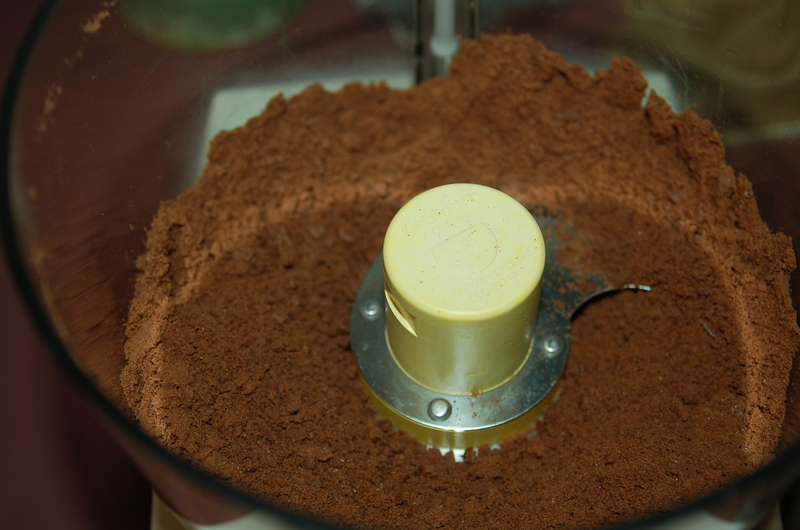 2 – Melt butter on low heat and slowly add to the processor through funnel as it is spinning. 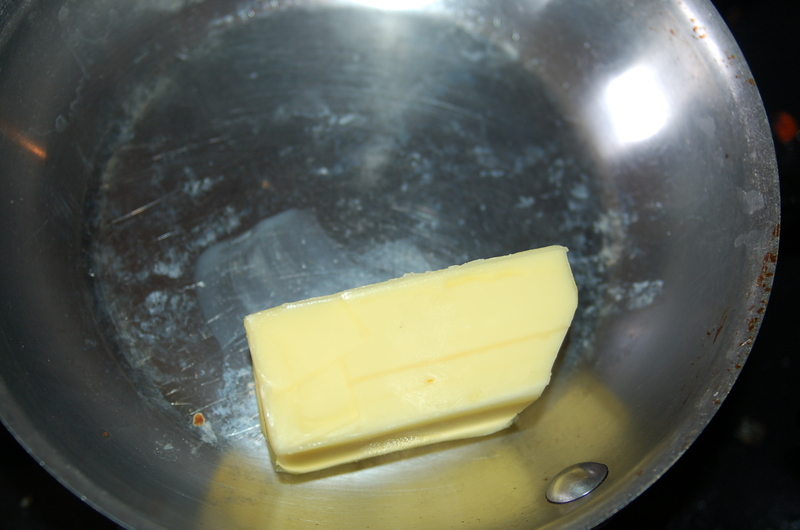 Melt butter in pan on low heat. 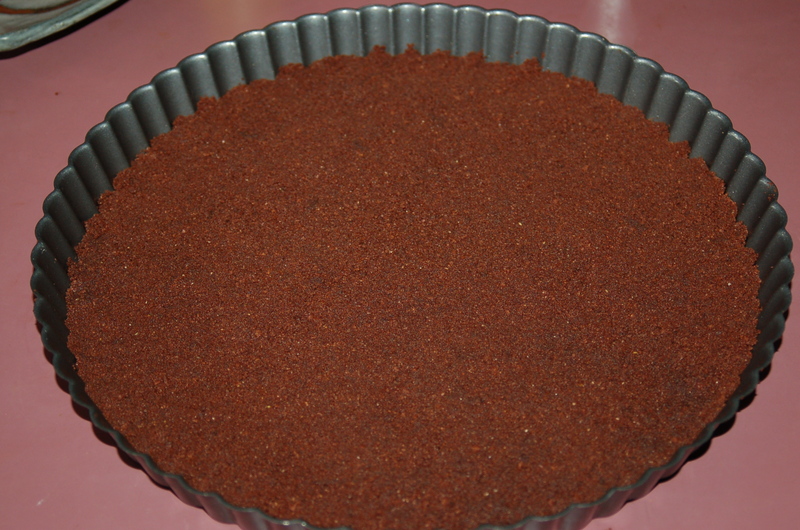 3 – Empty contents into tart pan and spread evenly. Press down firmly, but gently until it feels like a solid mass. 4 – Separate egg yolks and egg whites, putting each in a separate bowl. 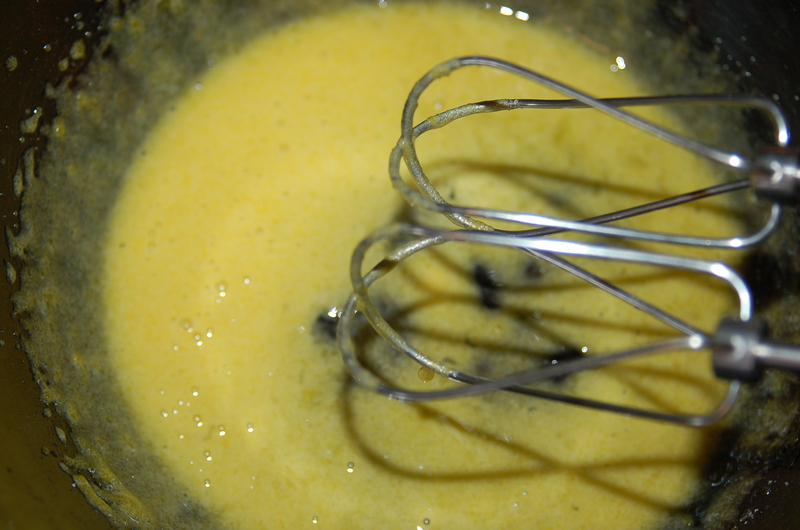 Add sugar to the yolks and whisk until the mixture becomes creamy (about 4 minutes). 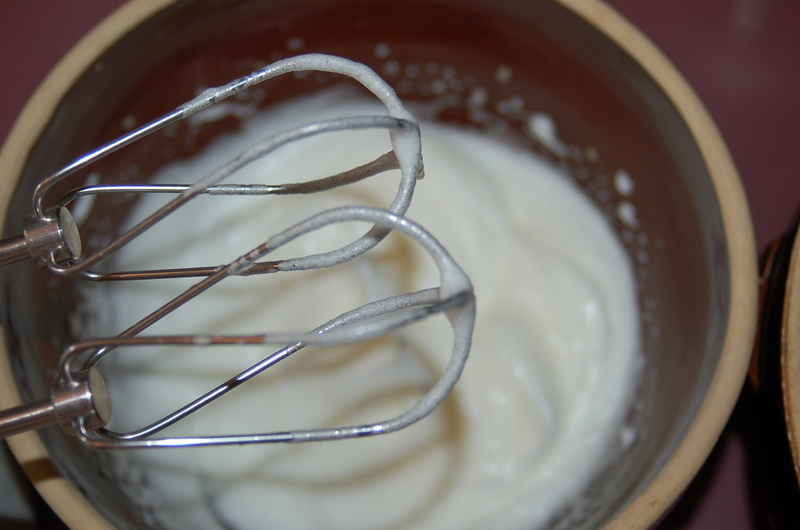 5 – Whisk whites until they become nice and foamy (about 4 minutes). Put the mascarpone into the bowl with the egg yolks and mix together gently. Fold in the egg whites until they are fully incorporated. 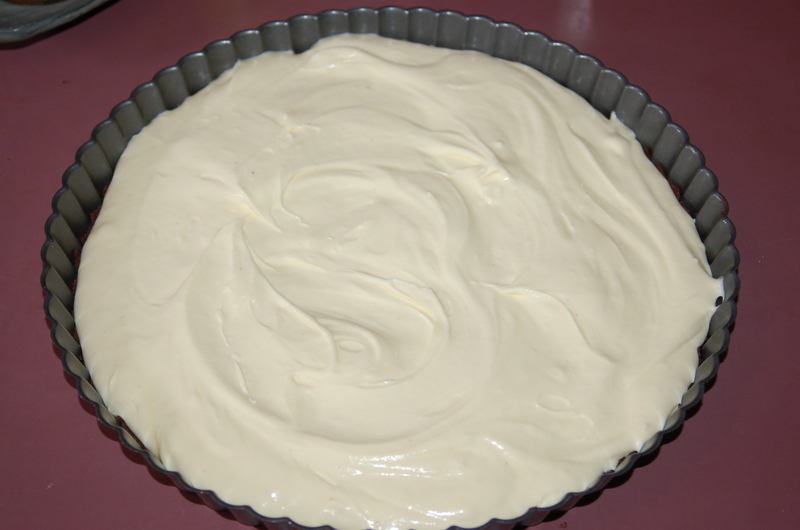 6 – Spread mixture into tart pan and spread evenly. 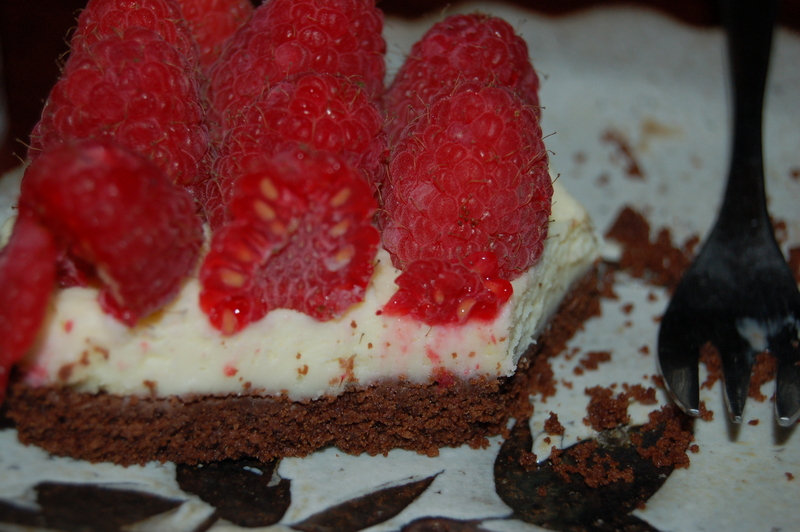 Top with lots and lots of raspberries. Chill in fridge for at least 2 hours before serving. There is nothing sweeter than Birthday Cake! 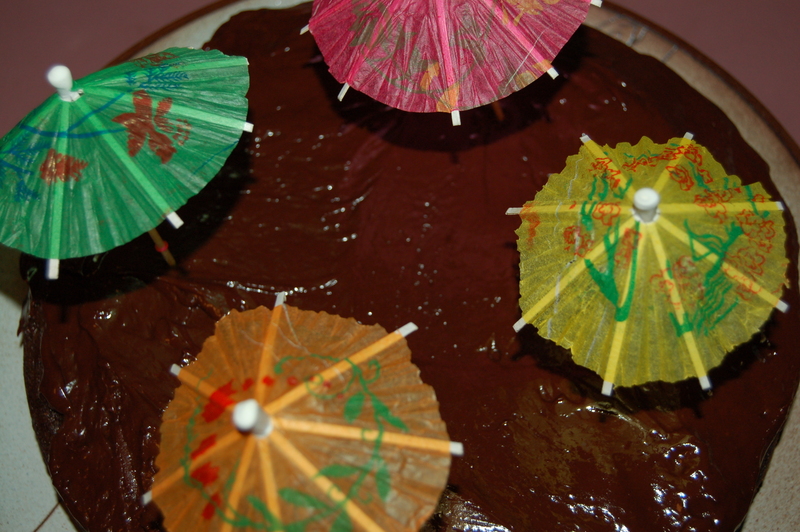 Yum to all Home Made Birthday Cakes – elegant or sloppy! 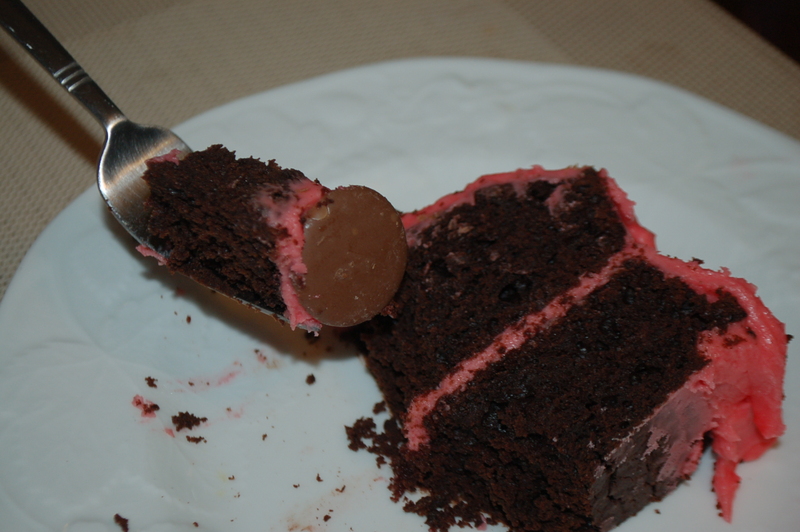 This entry was posted in Sweet Stuff and tagged birthday, birthday cake, birthday party, cheesecake, chocolate, chocolate cake, cold raspberry tart, frosting, home made birthday cake, homemade cake, milestone birthdays, no bake cake, raspberries, raspberry tart. Bookmark the permalink. Thanks – and yes, it is truly YUMMY!